The boat is a unique find that was measured at 7.25 inches (18.4 cm) by 3 inches (7.6 cm) and weighed 3 ounces (85 g). It had benches, rowlocks, two rows of nine oars and a paddle rudder for steering. It also included tools for grappling, three forks, a yardarm and a spear. The tools are of much lighter design than the ship’s hull and are shown in the illustration. 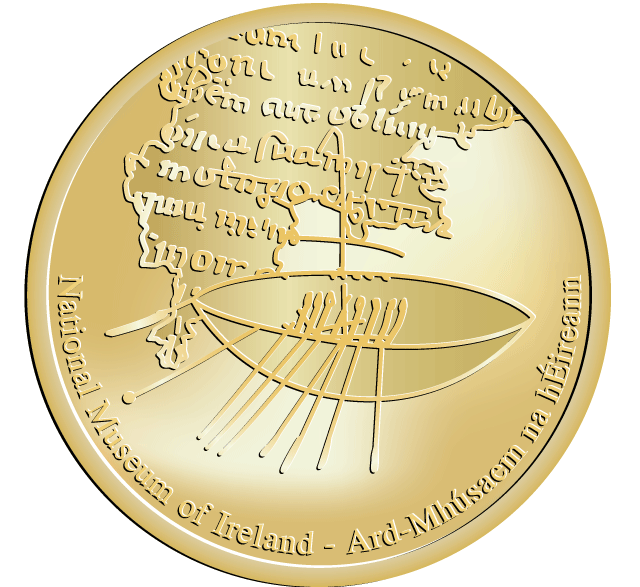 The boat suggests that the hoard was a votive deposit to the Celtic sea god Manannán mac Lir.The Faddan More Psalter was a chance find made in a Tipperary bog in 2006 which has been skillfully conserved and preserved in the National Museum’s conservation laboratory at Collins Barracks. Its papyrus-lined cover is direct evidence for contact between Ireland and the Mediterranean region over one thousand years ago. 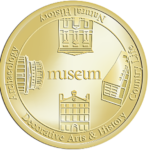 This was the first ever discovery of its kind in Ireland and indeed anywhere in the world. It is of international importance and is now on display to the public for the first time since being found.